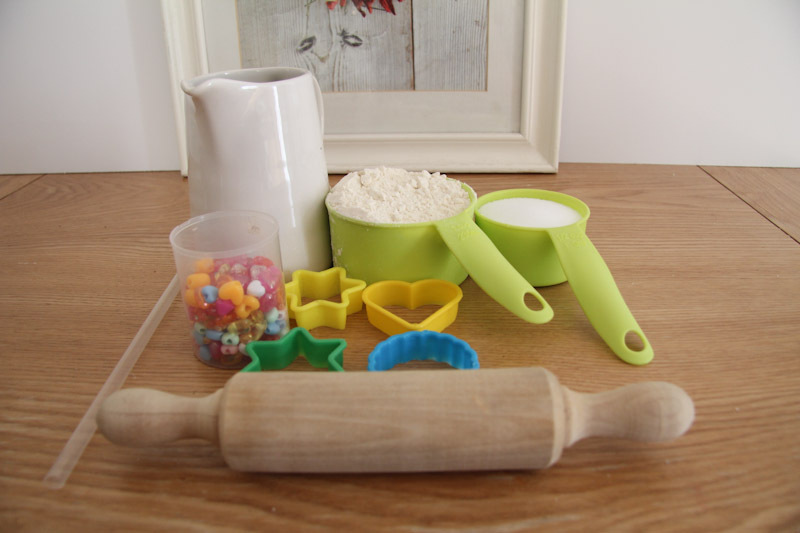 I have been itching to try out salt dough with the kids and wanted to see how pliable the dough is and how practical it is too use with kids. I am now hooked! 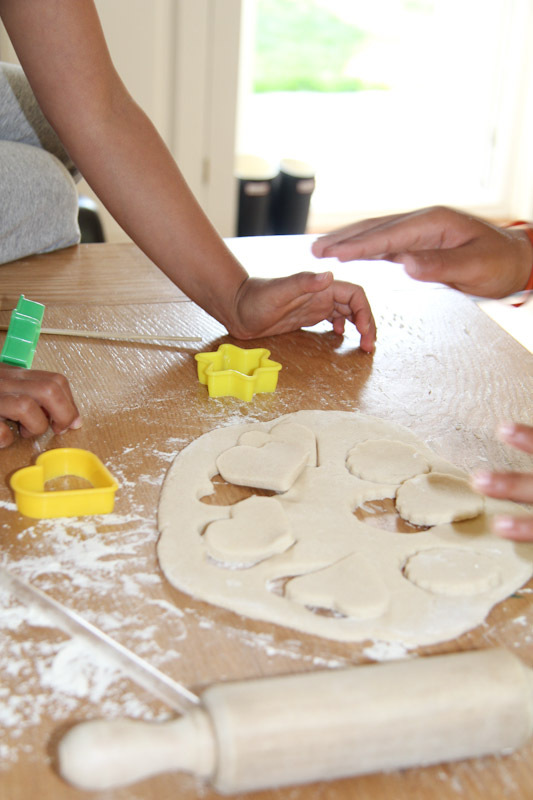 It is not only easy to make but also provides the perfect dough consistency for kids to work with. I will definitely be using salt dough more often. 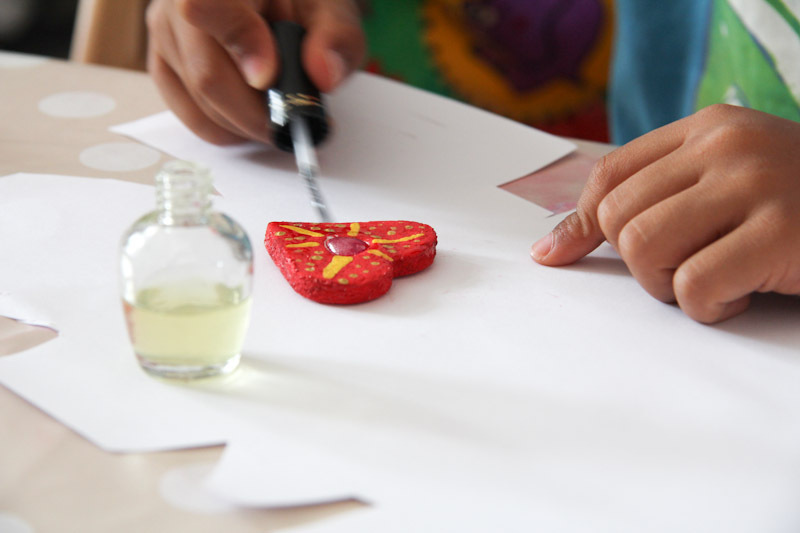 The kids love it because their end product is permanent and we have thought of all sorts of wonderful ideas for future activities. 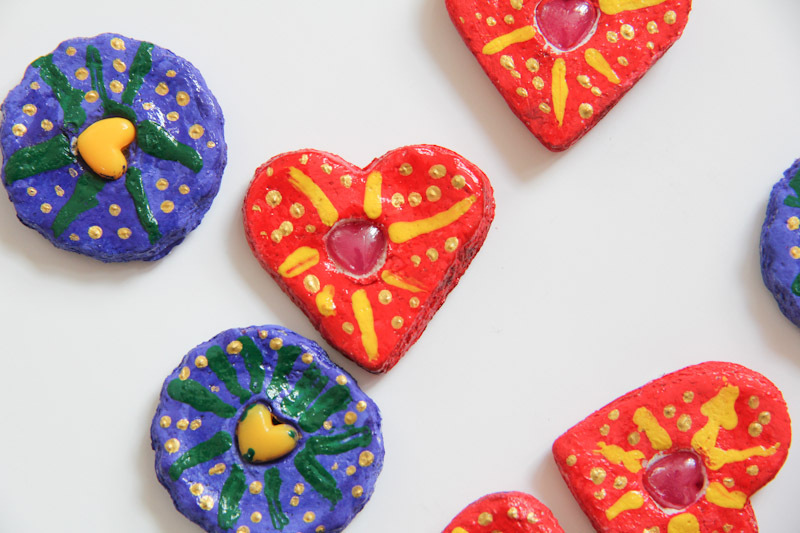 We decided to use this batch to make teacher appreciation salt dough fridge magnets. In this recipe I used 1 cup flour, 1/2 cup salt and 1 cup water. Combine the dry ingredients and add water a little at a time. 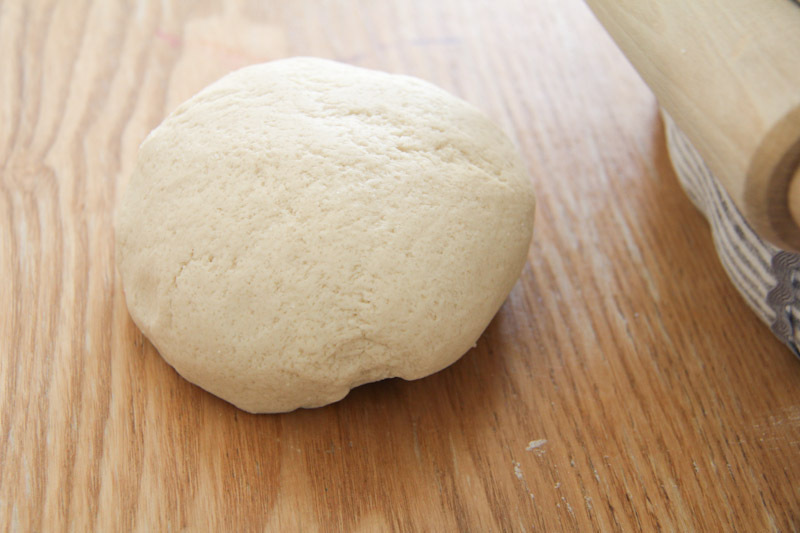 You may not need the full amount of water if you are able to achieve a nice pliable dough texture. 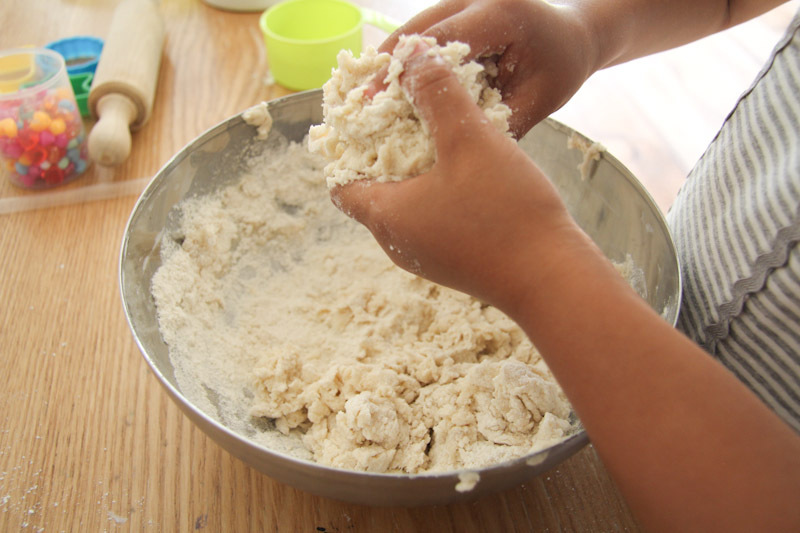 Little M used her hands to combine the water, flour and salt. It was a good opportunity for sensory play as she often does not like her hands ‘dirty’. Sensory play is a great way of preparing the hands and fingers for handwriting as it builds on finger awareness. Finger awareness contributes to a comfortable pencil grip. I helped Little M knead the dough into a lovely ball ready for rolling. 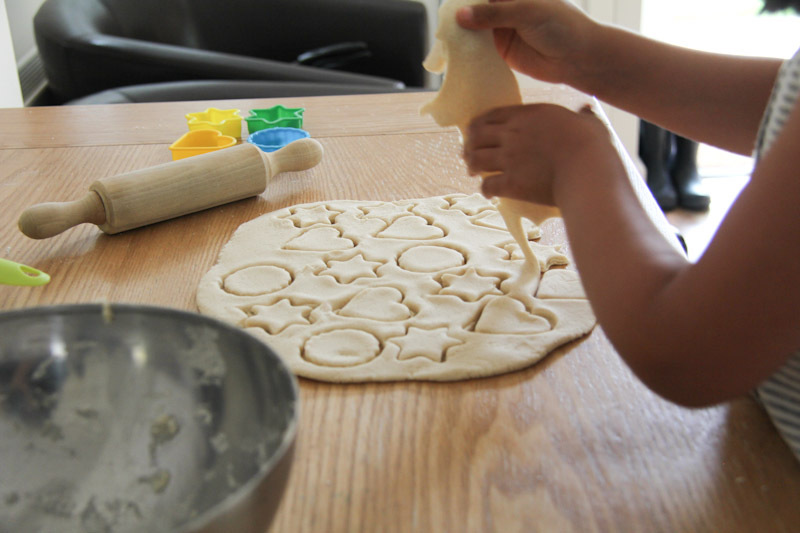 Little M rolled out the dough, cut out with cutters and used a straw to make a hole in the centre of her shape. We placed them onto a baking sheet covered with foil. She inserted plastic beads into the hole and we baked it in the oven at 100 Degrees Celsius for approximately 3 hours. 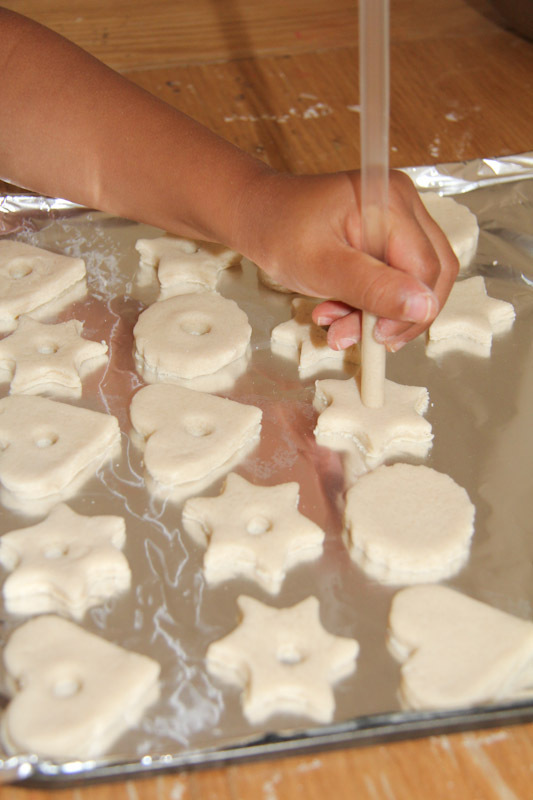 It is helpful to turn the shapes halfway through the process so that it dries evenly on both sides. Here is Big Y getting his shapes ready that afternoon. Little M is nearby supervising his efforts. We painted them the next day with poster paint. The paint did not take long to dry and we sealed the paint with clear nail polish. Once the nail polish was dry I stuck a magnet to the back of the salt dough shapes with craft glue. This activity helps with handwriting by improving finger awareness and finger dexterity which makes it easier to form letters and numbers. 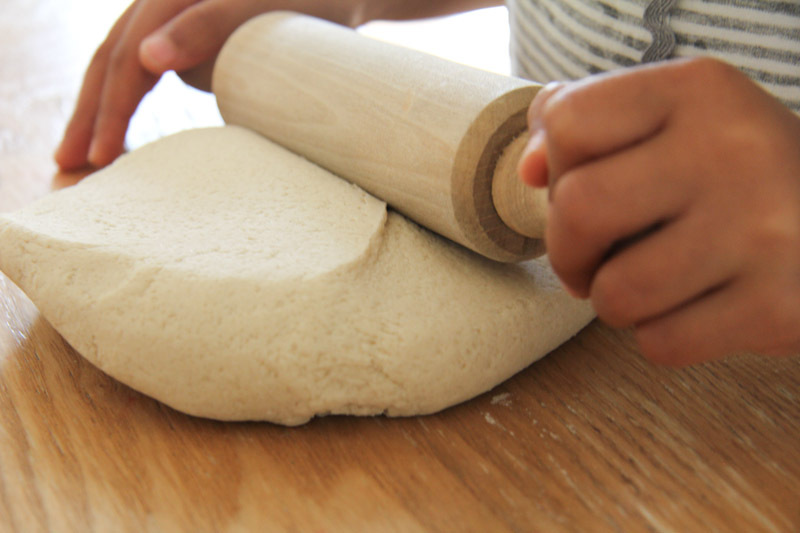 This activity also works on bilateral coordination when using the rolling pin which makes it great for both hands to work together when the dominant hand needs to write and the non dominant hand needs to support.